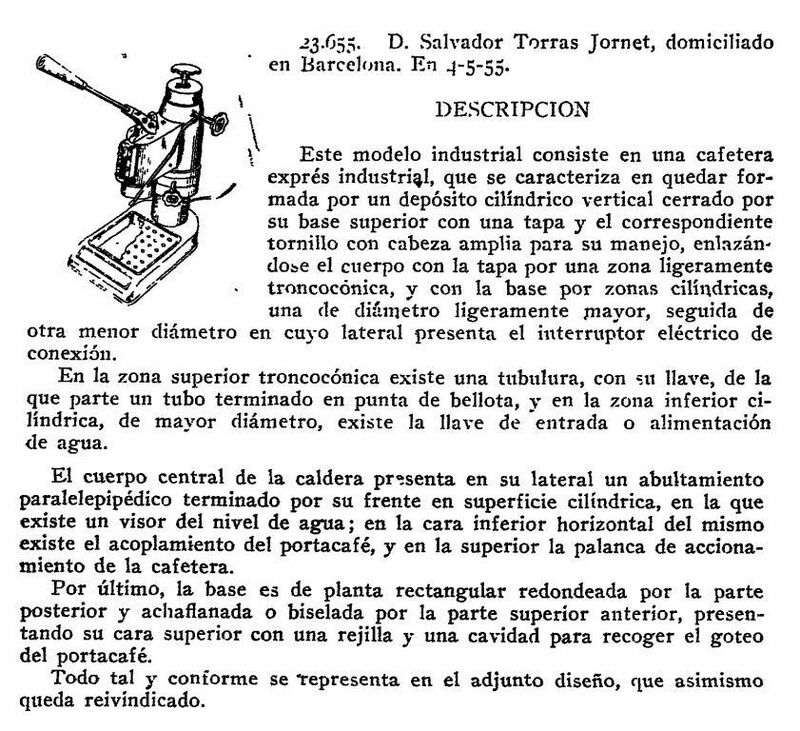 Salvator Torras Jornet owned a shop for bar and restaurants appliances in Barcelona during the 50s. He has many patents for coffee makers (between 1948 to 1965) and deposited brand names. The brand Santcarlo is one of them. All this information was kindly provided to me by Dottore Pootoogoo (Sebastien). 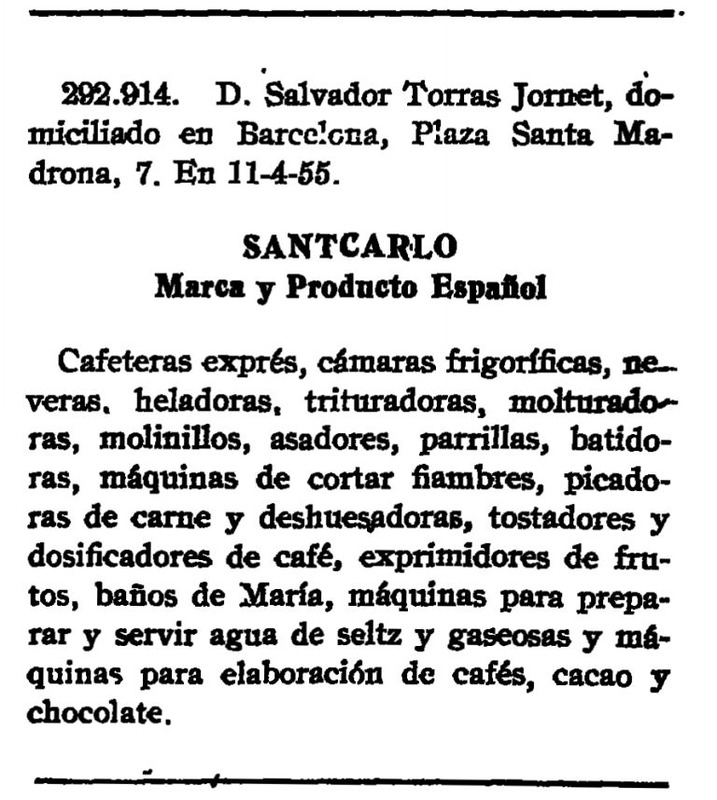 I never seen a microcimbali made in Spain so I imagine that Salvator Torras Jornet produced the Santcarlo modifying the original design. © 2017-2018 Francesco Ceccarelli. All rights reserved.